Great selections! The Axe Murder House is the only one i have been to – but we did have a creepy experience. My friend’s daughter was four at the time and did not listen to the story/ explanation the tour guide gave us. After the talk they allowed us to roam the house on our own, so we headed upstairs to the kid’s bedroom. The four year old sat in a chair next to the bed. We did not watch her closely – we were busy daring one another to stand in the closet – and when we looked back to her she looked angry. We asked her what was wrong and she informed us that there was “something wrong with those kids”. When we asked what kids, she pointed to the bed and said “They won’t come out to play with me. They’re weird.” That freaked us out! Oh my God, that’s so creepy! 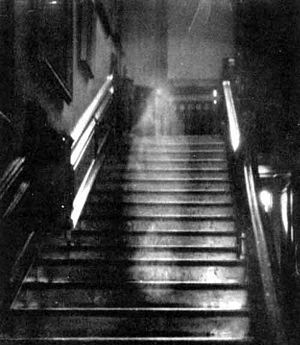 Next time a ghost hunting group comes to investigate, you should tell them that story. Haunted cute puppies and kittens? Nope. Not even haunted ones. These have to be completely safe.